Was it just a coincidence that Dan preached that night in a neighborhood called Parque Alvorada? This certainly seems to be the dawn of a new day for the Free Methodist church. Not only is God strengthening the churches that are already in the area, but He is opening up new works in new neighborhoods. 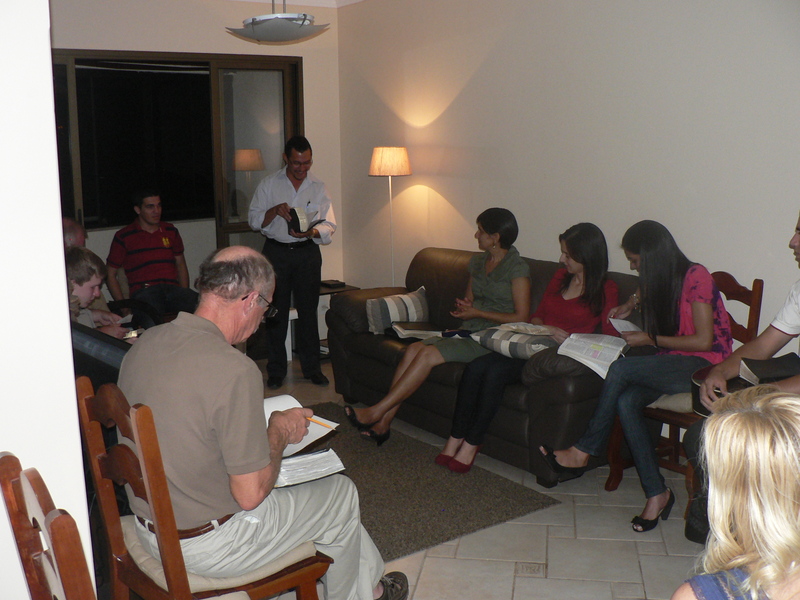 Last Saturday we had the first gathering of the Aguas Claras church plant in our home. Sixteen people squeezed into our living room to worship and enjoy fellowship. A wonderful time of praise was followed by a brief sermon, after which we “broke bread” together. Nobody wanted to go home! But, finally, at ten thirty a family that lived an hour away was obliged to make the first move toward the front door. We praise God for uniting our hearts in one purpose, to build His church. What a privilege to be a part of what the Lord is doing.